G & H Gas & Heating Services are Gas Safe registered heating engineers who supply and install gas boilers. For similar replacement boiler companies in this area please visit the Derby boiler page. We are a local family business in Hilton in South Derbyshire, with almost 10 year experience working in the gas Industry. We are a friendly family business who have been British gas trained, specializing in maintaining & repairing all domestic gas appliances. We specialize in repairing and maintaining central heating systems and will happily repair and maintain ALL Boiler makes and models. 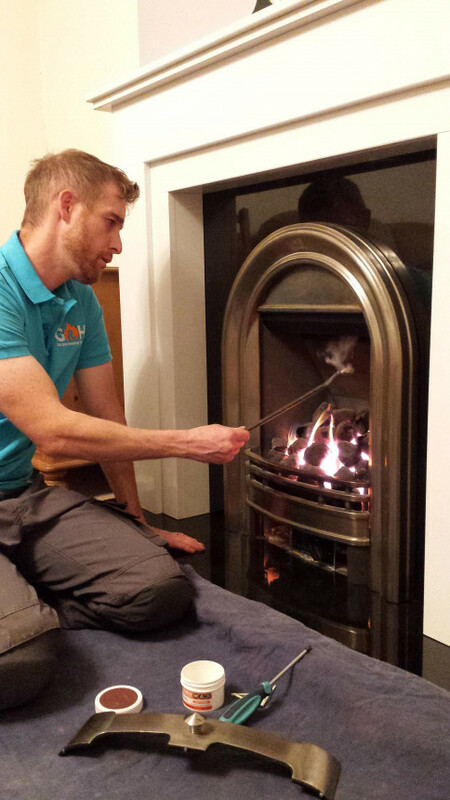 We understand that time is of the essence when your central heating breaks down, and so have a first class repair service which will in most cases diagnose and fix your boiler the same or next day (including any parts which may need to be ordered). We genuinely enjoy what we do and consequently take great pride in our work and endeavour to provide you with great service. Having worked for one of the leading Heating companies for numerous years, customer service is at the heart of our business. We are a professional, reliable and friendly company and are always willing to advise and recommend wherever possible. We serve the surrounding local areas including Burton upon trent and Derby. We have numerous testimonials from satisfied customers all of which have received 5 star ratings.